Many years ago, I had an instructor tell me that X-rays cannot be seen, heard, felt, or tasted. Our inability to detect X-ray exposure through our normal sensory systems makes it that much more dangerous. Our autonomic nervous system is designed to react to things that can cause pain and potential harm to our bodies. X-rays do not trigger that system and therefore must be monitored more diligently. In healthcare, we actively pursue the mantra of “do no harm.” We follow this mantra by adhering to stop gaps and assurance checks in many departments. Surgery moves through a process of checking and double-checking—right patient, right body part, etc. Pharmacies constantly work to avoid delivering medications with contraindications or allergy issues, and labs move through a series of checks when issuing blood products. Providers take such precautions in an effort to reduce the risk of negative outcomes for their patients. It appears that the lack of a tangible, immediate reaction to radiation exposure would prompt us to be more diligent in recording and reporting exposure. This can be done by utilizing concise clinical data collected, shared, and made available for prompt analysis. By harnessing and optimizing pre- and postexam exposure data and understanding the risk factors, the physician and staff can gain actionable insight for patients’ daily healthcare needs and anticipate future scenarios and care alternatives. For years, we in the imaging profession have carefully couched our naïve answers to patients’ inquiries about the amount of exposure they will receive during any number of procedures in which ionizing radiation is used for providing diagnostic images. Exposure-related questions from our patients and their family members are met with analogies to comparative exposures in daily life: “Oh, this X-ray is equal to about as much as 30 minutes in the sun.” But is this “30 minutes of sun exposure” equal to what you would receive in the Rocky Mountains at 10,000 ft lying on a flat rock or on the haze-covered beaches of southern California? Are these casual answers the best we can provide to patients? The nasty truth is that historically we have only been able to roughly estimate exposure rates for individual procedures, and we remain completely blind to any chance of determining an aggregate exposure for the patient we so vehemently promise to protect. 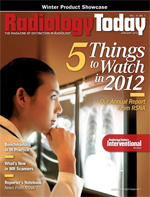 Early in 2011, the California legislature passed a law requiring facilities utilizing CT to record the procedural dose. My bet is that sweeping legislation is soon to come. Procedural dose benchmarks are being reevaluated, and the ACR is facilitating the movement to capture dose and has enacted a dose registry. The Joint Commission is considering incorporating some radiation dose reporting and monitoring requirements to its accreditation process. While this activity on a national scale begins to develop, we must all ask ourselves what good realistically comes from recording exposure from a single episode when the issue more likely to cause harm is a patient’s aggregate exposure over time. Much like everything else that is a response to a negative outcome, we are waiting for the other shoe to drop. Recent regulatory events have set in motion efforts to develop documenting and reporting mechanisms. To the greatest extent possible, we must understand an individual patient’s aggregate exposure. If we truly understood what we were doing with not just each exposure but how each scan contributes to an aggregate dose report, we would be positioned to create a decision-support matrix supporting the benefit of each type of exam or protocol. If a patient’s cumulative dose is high based on an organization’s individually established high/low settings, should we seek a different modality or procedure for diagnosis? In some events of multiple exposures, should we obtain an informed consent from our patients? Automating this recording and reporting process will be a critical component of imaging operations in the coming years. • cross-reference scan protocols between scanners for dose output. These dose reporting and tracking systems should automate what would normally be a manual process of compiling the data by using individual exam reports where the procedure dose may or may not have been documented. I do not know of any organization that has engaged a workflow to seek out, correlate, and record exposure data as part of the ordering process. The amount of manual effort to accomplish this would be daunting, especially if a department is part of a larger organization where patients can seek care at different sites. The fact is that in order to have an effective dose monitoring process, organizations must be able to utilize technology capable of mining the exposure data in our clinical systems. PACS images store exposure information in the DICOM header of a procedure. Automating the process of retrieving these data and reporting total exposure to a patient pending an X-ray–emitting exam before additional exposure is a much more sensible process than merely capturing the procedural dose and doing nothing with it. So many questions related to process will emerge as dose reporting requirements continue to evolve. How does an organization deal with high exposure values once the data are aggregated to reflect the “total dose” a patient has received? Where will the data enter the decision-support model? Will capital equipment purchases incorporate any consideration of a vendor’s device exposure index? In the next few years, dealing proactively with radiation dose exposure will be an operational issue requiring a viable technology mirrored by well-thought-out workflow and process. These efforts will be exacerbated as healthcare systems seek interoperability with nonaffiliated hospitals and outpatient imaging providers. It won’t be long before aggregate dose reporting will incorporate a patient’s entire exposure history regardless of where the exposure was initiated. In the meantime, we must consider getting our houses in order and start becoming proactive around the issue of medical X-ray exposure. — Shawn McKenzie is president and CEO of Ascendian Healthcare Consulting.